TIJUANA, Mexico (AP) — A police task force created to restore tourists' trust has started work in Tijuana and other Mexican border cities plagued by drug-fueled violence. Officers with the Metropolitan Tourist Police took to the streets for the first time this week in Tijuana, Ensenada and Rosarito Beach. About 130 officers are using a shared name and uniforms as they patrol the 70-mile strip in Baja California that links their coastal cities near the California border. 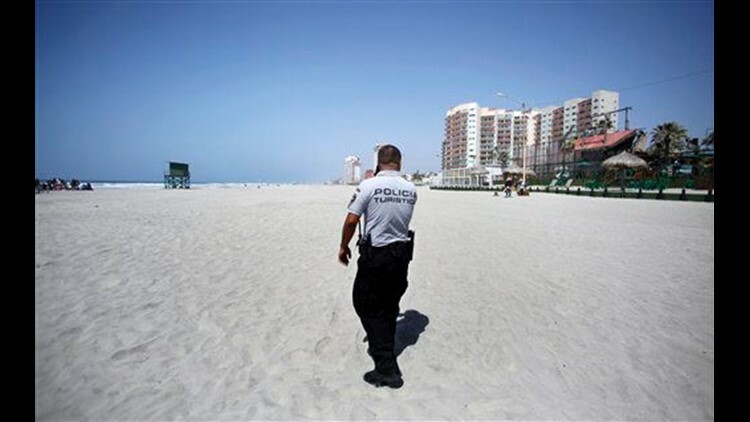 It's one of several steps the region is taking to deal with a drop in U.S. tourism — even as spring break, Holy Week and a semiannual bike ride are expected to lure thousands of visitors south of the border.